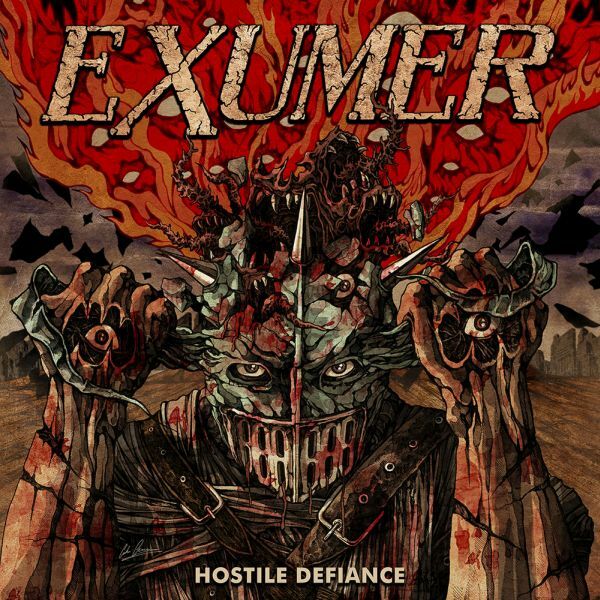 EXUMER - HOSTILE DEFIANCE LTD. EDIT. (DIGI+PATCH) | Online Shop | Wizard LTD. Album: "HOSTILE DEFIANCE LTD. EDIT. (DIGI+PATCH)"
&apos;Hostile Defiance&apos; is exactly what its title suggests. A 42-minute full on attack, the thrash faction hold nothing back as they unleash hell as only they can, yet with more variety and dynamics than ever before. "We wanted to sonically progress, incorporating more melodic elements in the music as well as more rhythmic variety," states vocalist Mem Von Stein. "We are a lot braver trying to create an up to date and relevant sound that can easily stand alone in today&apos;s thrash landscape without sounding trite or a throwback, and we&apos;re challenging the listener not to get too comfortable with one specific feel, tempo or pace." many countries as possible. "Our goal is simple: to further establish the band as one of the main German thrash metal acts that began in the 1980s and are now carrying the torch into the 2020s."